When you think about customer satisfaction, it’s not always just the customer service that can upset a customer, it can be many different factors. When you are shopping, a good experience can’t always make up for a faulty product, bad food or delivery issues. 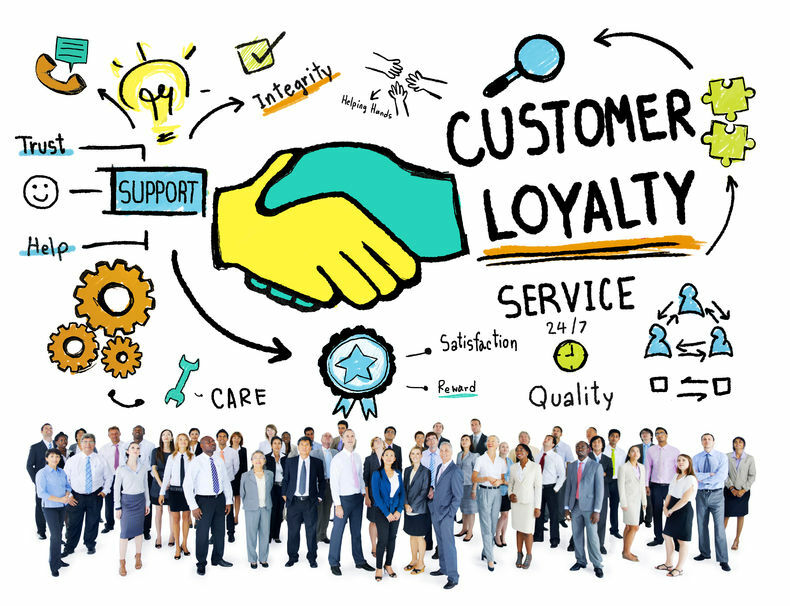 When big companies look to customers they believe that satisfying the customer is a no brainer, but there are different psychological methods to securing a loyal following. This spans a little more than giving out discount coupons or free samples. Customer satisfaction is extremely important because it costs 6 times more to acquire new customers than retaining current customers. This shows that keeping old customers is very important, you are more likely to spend thousands on marketing trying to attract prospects, trying to turn them into leads. You will save money and time by keeping the existing customers happy, this could include using blogs to educate customers or even email special promotions. Another reason customer satisfaction is important is that an unhappy customer will tell around 10-15 people about their experience and a lot of negative word of mouth can effect your business. Customer satisfaction is usually linked with revenue, you wouldn’t want to lose 20 customers because of bad word of mouth. Quality is the most important aspect of a product, the company should always put out good products because no amount of PR or marketing can sell a product that is of bad quality. Quality assurance should be given to the customer always. The internet has become a very important avenue for all businesses, people are constantly trying to buy things online for convenience because no one is ready to flip through a phone book or catalogue anymore. If your company has no contact information and website then the business will not flourish as it is not visible to the world. Most companies invest millions to make sure that their digital footprint is easy and accessible because it takes a few seconds for users to switch off due to a bad manoeuvring website. Employees are very important to the business because they are the face of the company and are closely tied to customer satisfaction. A company must ensure that their staff omplete customer service training once they join. The supervisor training new staff should have enrolled on a customer service training course to ensure that they are up to date with the latest information. The customer service courses will teach the employees how to interact with customers and how to create a good environment for them. If you ask a customer where they like to shop, they will say a place that is organised, safe and clean. It is imperative for the company to create a good atmosphere where the shopper would like to shop in. Customers are more attracted to big spaces that are neat, brighter and cleaner. If something is working for your company and it is bringing in a stream of customers then keep it. Some companies are constantly making their staple products unavailable or discontinue them, this can make customers not come back to the store. Companies such as Apple and Starbucks know that customers have a bond to certain products, the longer the products last the longer the bond. Let customers know that they are in good hands, corporations are constantly facing an image problem whether they are portrayed as ripping off the customers or making profit from exploitation. Recently Apple Corporation has been in the news for deliberately slowing down Iphone’s which has created a lot of negative press and unhappy customers. Many of their customers have gone to competitor Samsung. This shows you to keep good customer satisfaction you need to keep a good image. If you promise to deliver a product on a certain date you should try to stick to it to ensure that customer satisfaction is maintained. If certain promises can’t be kept then keep the customer informed. Do you need customer service training? Why not contact us to find out more about our customer service courses.